In August 2012, mineworkers in one of South Africa’s biggest platinum mines began a wildcat strike for better wages. Six days later, the police used live ammunition to brutally suppress the strike, killing 34 and injuring many more. 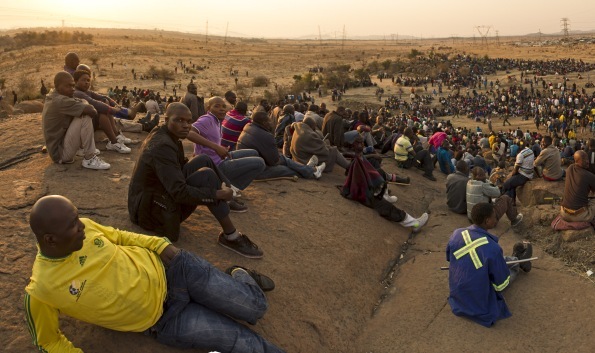 Using the POV of the Marikana miners, MINERS SHOT DOWN, follows the strike from day one, showing the courageous but isolated fight waged by a group of low paid workers against the combined forces of the mining company, Lonmin, the ANC government and their allies in the National Union of Mineworkers. What emerges is collusion at the top, spiraling violence and the country’s first post-colonial massacre. South Africa will never be the same again. Miners Shot Down Trailer from Deckert Distribution on Vimeo.